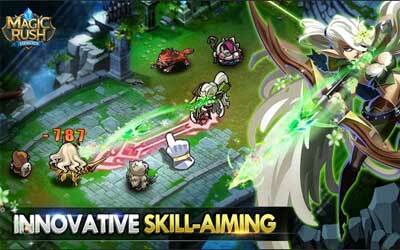 Previous version Magic Rush: Heroes 1.1.136 apk for Android will help you to downgrade or install older app easily. This is one of the best Role Playing apps. Toxic Spray: Improved skill casting mechanism. When Gorgana casts this skill at the nearest enemy from her, it will more reliably deal splash damage to more distant enemies. Particle Pulse: Raised damage dealt by Particle Pulse. Slightly reworked Sebastian’s face post-Awakening. Grievous Grunk: Fixed a problem with some “I Can Fly” heroes lacking the thumbs up recommendation icon.